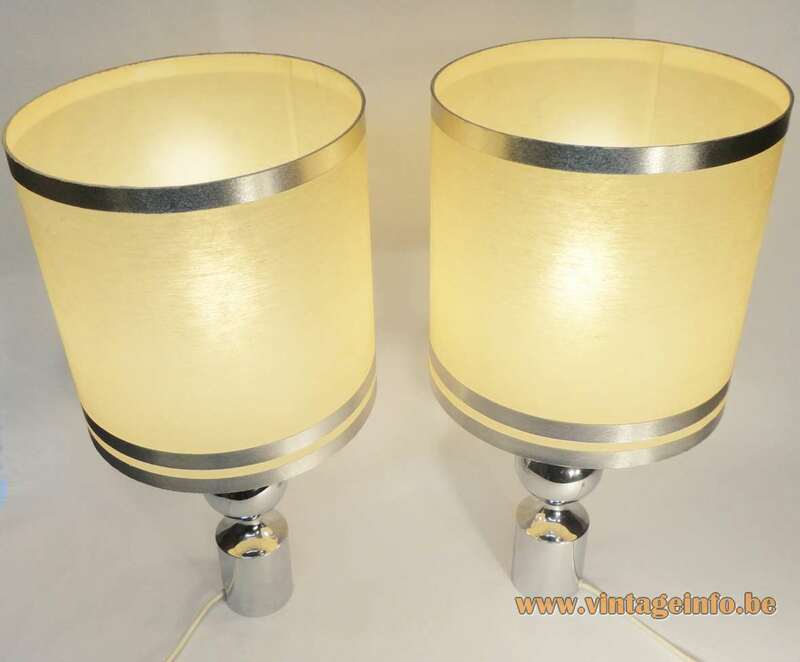 Materials: Chromed metal globe and round tubular base (iron). Chrome parts. 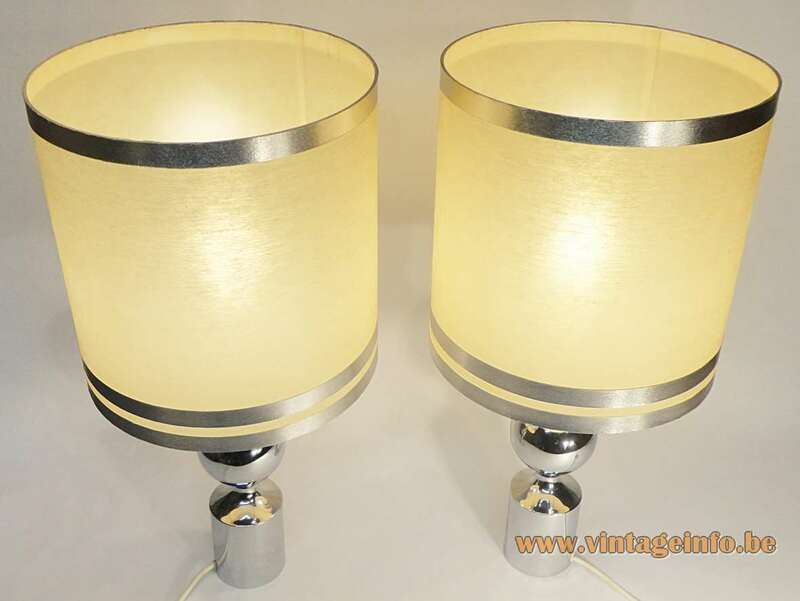 Plasticized lampshades with 3 aluminum rings. Bakelite sockets. 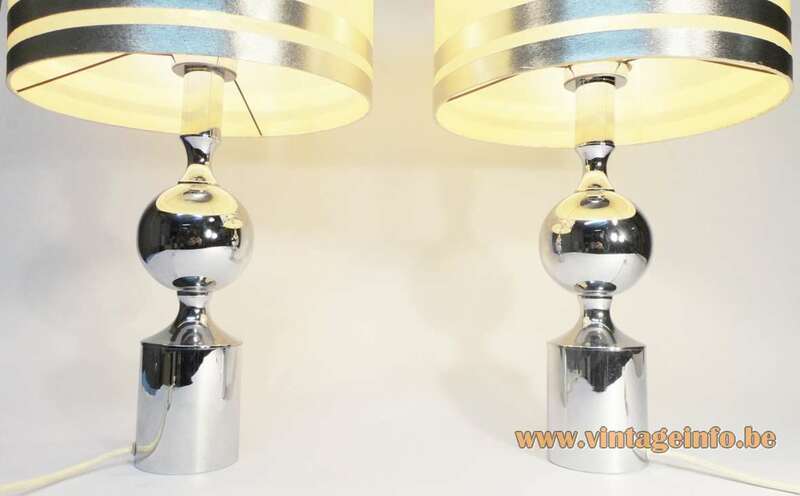 Electricity: 1 x E27 bulb, 1 x 75 watt maximum, 110/220 volt. 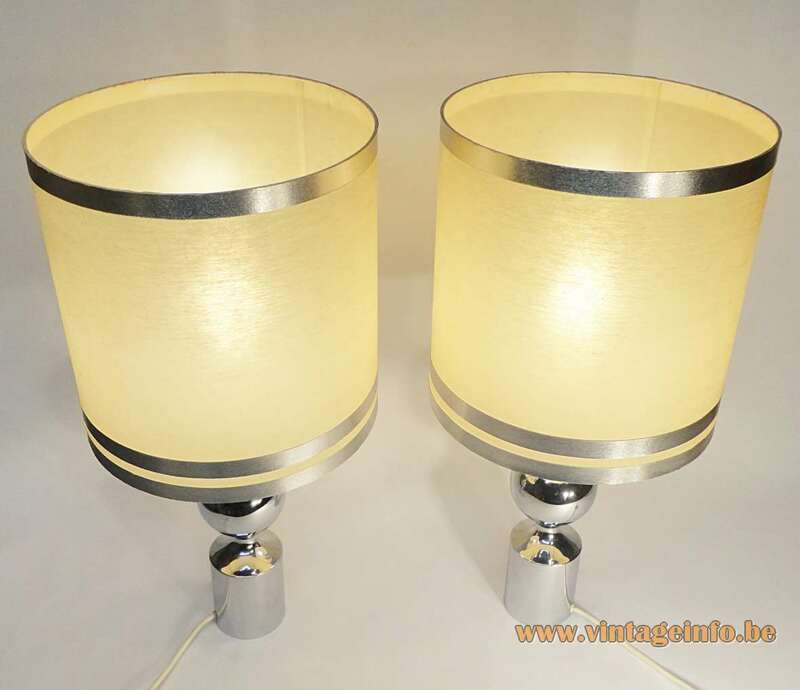 Other versions: Made in different sizes and also with different lampshades. 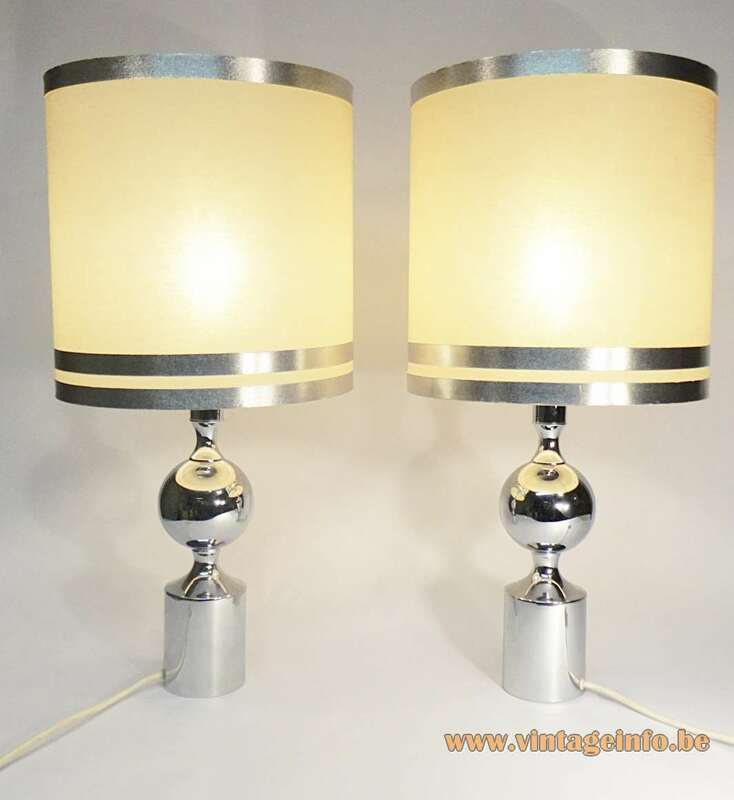 Made in the style of the table lamps made by Maison Barbier from Paris, France and designed by Philippe Barbier, as you can see below.